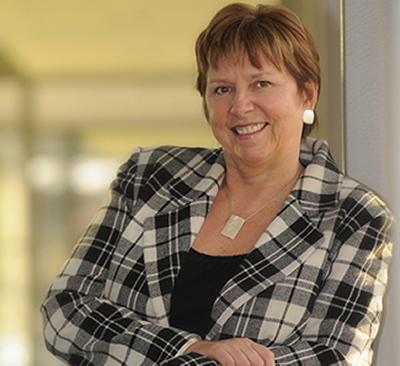 Professor Dame Wendy Hall, Dean of Physical and Applied Sciences at the University of Southampton, has been named as the second most influential woman in UK IT by a national computing website. Computer Weekly recognises Dame Wendy as being in the top 25 women who have had a major impact on UK IT. It is the first time the website has announced the rankings and the winners were selected by a judging panel of employers and IT leaders from across industry, as well as readers of the magazine that is the leading provider news, analysis, opinion, information and services for the UK IT community. Dame Wendy joins 24 other women who the website acknowledges represent role models that will be important to the future diversity and success of the high-tech community. “I'm delighted and flattered to have been included in such a distinguished list and I applaud Computer Weekly for their efforts to highlight the role of women in IT in the UK which is far more significant than is often realised,” said Dame Wendy. “Such publicity will encourage others to consider careers in an industry that is one of the most exciting and important to be in today,” she added. With Tim Berners-Lee and Nigel Shadbolt, Dame Wendy co-founded the Web Science Research Initiative in 2006. She is currently a Director of the Web Science Trust which has a global mission to support the development of research, education and thought leadership in Web Science. She was President of the British Computer Society; the first non-North American to lead the Association of Computing Machinery, the world's largest organisation for computer professionals; a member of the Prime Ministers Council for Science and Technology; Senior Vice-President of the Royal Academy of Engineering; and a member of the Research Council of the European Research Council. She has also recently been given honorary degrees by Dalhousie University in Halifax, Nova Scotia, Canada, Queen's University, in Belfast, and the University of Birmingham.